Coach Rob is going into his third year as the Head High School Varsity coach and Program Director for the club. Coach Rob also coaches our "Future Legends" K2 team (two of his three sons pictured here play on that team). Prior to coaching at Redmond, he coached three seasons locally as a Bellevue High School Assistant and Head Junior Varsity Coach (41-4 record) after moving to Washington in 2013. Originally from the Philadelphia area, Coach played varsity lacrosse at West Chester East high school and was a team captain for Mary Washington College's NCLL team. Coach Rob started his High School coaching career almost 20 years ago in the 4A public school league of Northern Virginia. He was hired out of college and became the first Varsity Head Lacrosse Coach for James Monroe High School, in Fredericksburg, Virginia. In addition to Redmond, Coach Rob is also a Head Coach with Team Washington. He has coached the rising 8th and 9th grade teams and in 2019 will Head Coach the newly added 34 Team Wa Trout team. 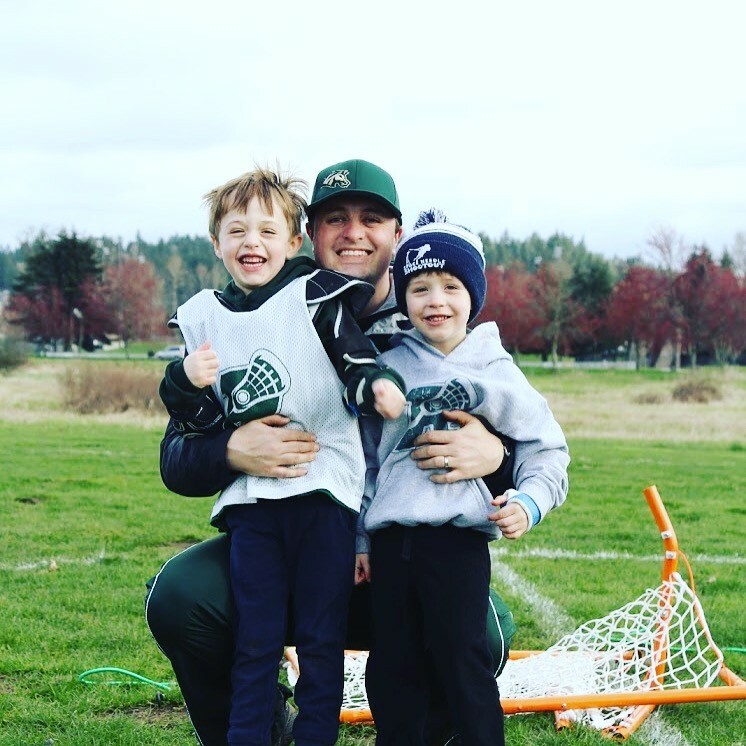 ​Coach Rob also works at Microsoft, supported by his amazing wife Erin, and loves spending time with his three boys: Hunter (7), Colin (5) and Cameron (3).